Lanka Business Online reports that access to social media and messaging sites including Facebook, Instagram and WhatsApp has been blocked as the country attempts to crack down on “hate speech.” Cabinet Spokesman Minister Rajitha Senaratne announced on Wednesday that the sites would be blocked and that the country’s Telecom Regulatory Commission (TRC) has also begun to monitor all social media platforms. This is in response to communal riots that recently escalated in the country’s Kandy district. The TRC has also instructed internet service providers to restrict access within the Kandy district, so far ISPs seem to be complying with the TRC’s request. 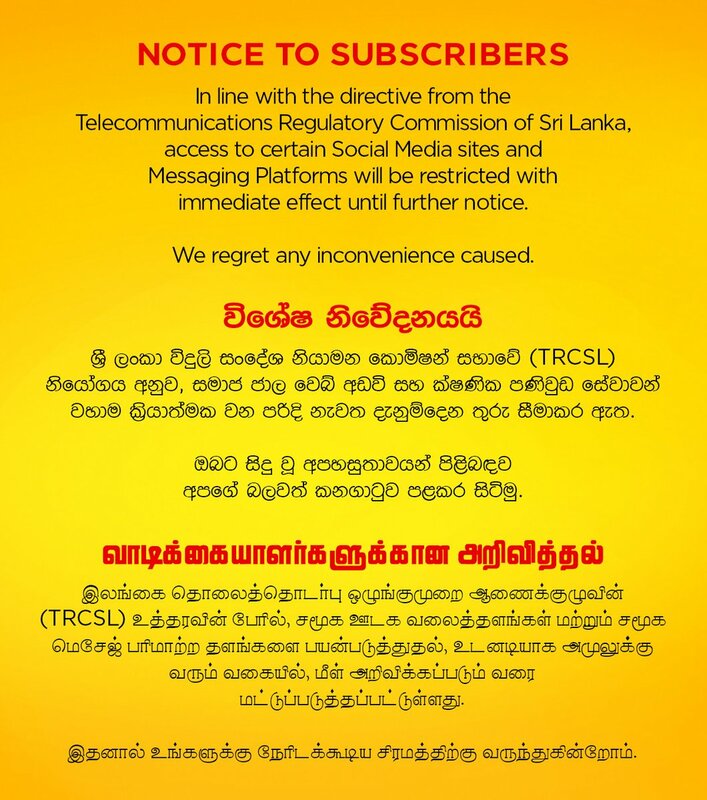 Notice to Customers,In line with the directive from the Telecommunications Regulatory Commission of Sri Lanka, access to certain Social Media sites and Messaging platforms will be restricted with immediate effect until further notice. Reuters reports that the ban was put in effect due to conflicts in certain areas of the country between Buddhists and Muslims. Some Buddhist groups accused Muslims of forcing people in the area to convert to Islam and vandalizing Buddhist archaeological sites, Muslim groups deny these claims. Police declared a curfew until 4 p.m. in the Kandy district where much of the conflict has taken place. Police spokesman Ruwan Gunasekara said that there had been several incidents on Tuesday night in the Kandy area, “The police arrested seven people. 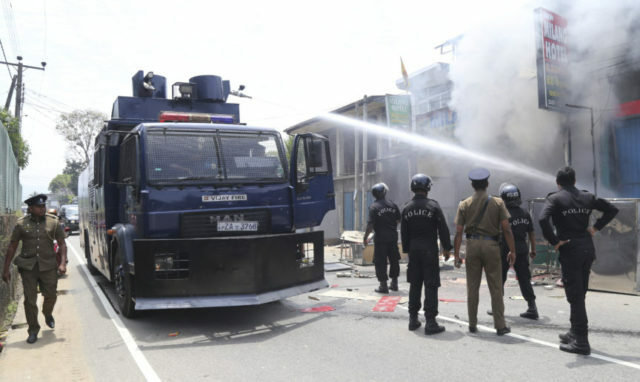 Three police officers were injured in the incidents.” A severed head of a youth was also found in the majority Muslim district of the capital Colombo which has reportedly added to tensions in the area.